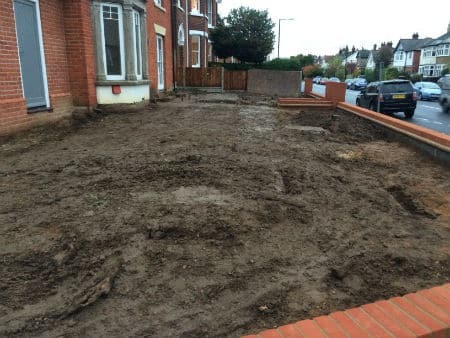 At the end of 2015 Holland Landscapes was commissioned to design and build a formal front garden for a large Edwardian style house in Colchester, which had recently undergone construction of an extension and had left it as bare soil. 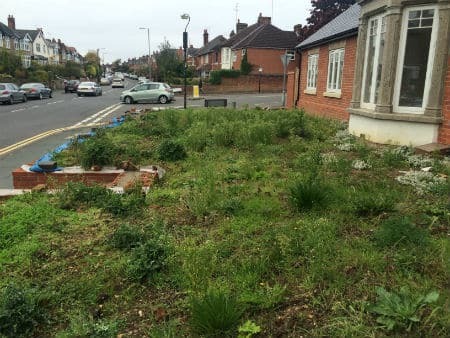 Large front garden (7 x 20m) in a smart residential area of Colchester. The garden is very much ‘on show’ to passers by at the intersection of two roads, and being raised 900mm above street level. The Clients wanted to offset their newly renovated house and provide an elegant and welcoming front entrance to the family home. What did the Client need and what were the issues to resolve? 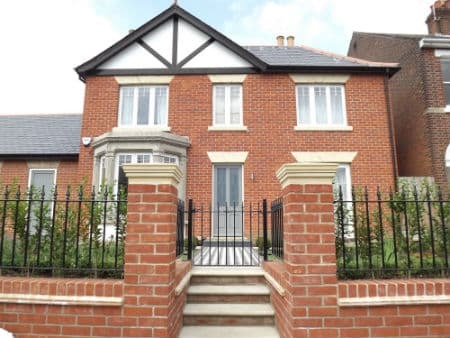 The clients wished to have a distinguished front garden to complement the house. 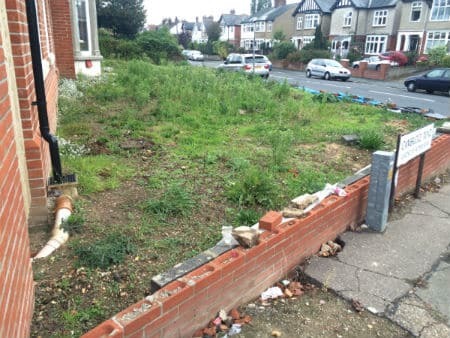 The building works had left the garden looking bare and uncared for with no screening from the two roads running alongside, which needed to be addressed. There was currently no route to the front door nor obvious entrance to the house and so a gated path was required which would also create a stylish approach. A barrier was needed between the garden and the pavement almost a metre’s drop below, for safety. With such strong architectural character to be taken from the house, the design was strongly influenced by the elegance and formality of the Edwardian era, its layout using the lines and proportions taken from the house facade. Authenticity was achieved in the detailing – by the railings, tiled path and a planting scheme in the arts and crafts style of the era. 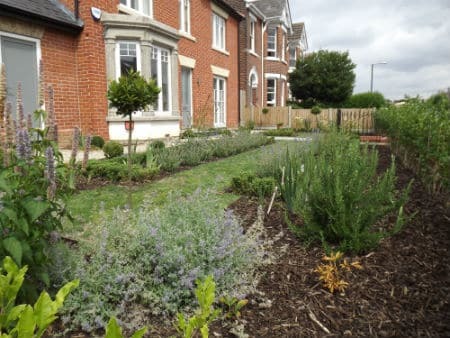 Holland Landscapes, working closely with Senior Design Kate Marshall, carried out the landscaping works. 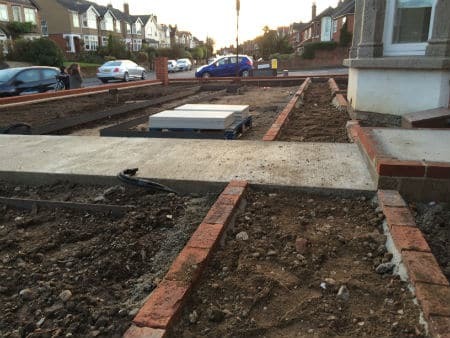 Works on the front garden began in October 2015 and lasted approximately 5-6 weeks. 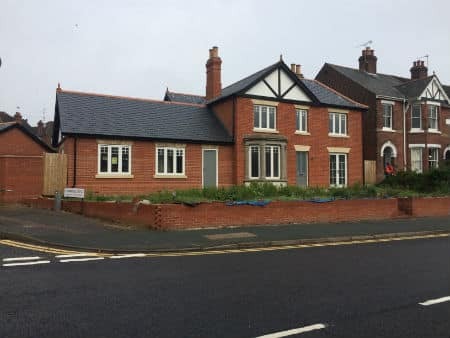 The brick retaining wall was reconstructed for safety and to be in keeping with the house style and locality, the ground levelled and the soil improved. 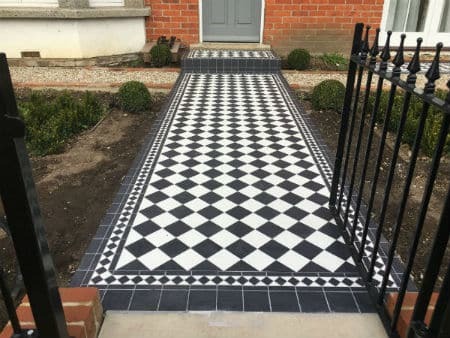 Holland Landscapes worked with specialists to ensure the railings were engineered to fit as designed, and the tiles laid with good attention to detail. Materials were selected for their quality and suitability to the style. The brick retaining wall was topped with bespoke cast iron railings and gate painted in black, to enclose the garden. 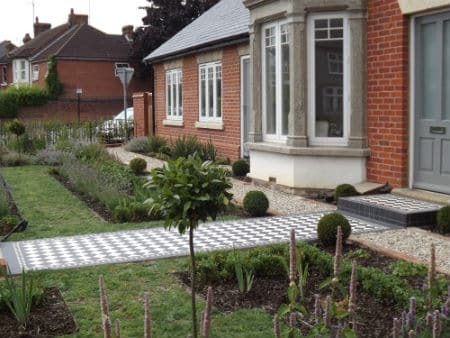 A black and white mosaic tile path created a dramatic entrance to the house, the centerpiece to the garden. A secondary path of brick-edged gravel path was constructed to link the front door to the rear of the property. Formal planting provided structure and accentuated the strong architectural backdrop (low box hedging enclosing flower borders, and taller privet hedging to provide all-round screening from pavement level). This was softened by an abundance of perennial plants (iris, catmint, peonies). Camomile was used to provide a low maintenance, scented and unusual front lawn, evocative of the era, while small standard trees gave height and a degree of privacy. The garden has been transformed from bare earth into an elegant and enclosed town garden – a defined and private space offering enticing views to be glimpsed from the street, and with strong links to the house creating an authentic facade. Many admiring comments have been received from passersby during the build and aftercare. The Clients are delighted with the end result, as are Holland Landscapes with another successful project.